Dr. Lens’ unique plant-derived ‘triterpenold regenerative “3t” complex’ contains Ursolic Acid to transform the appearance of dulled, lined and ageing complexions. Ursolic Acid (triterpenold) displays multiple age-defying actions; anti-inflammatory, anti-microbial, anti-oxidant, the inhibition of collagen degradation and the recovery of epidermal barrier function – to reduce wrinkle depth and improve skin’s firmness and elasticity. This remarkable complex is united with ‘Regenerative Plant Complex’ (a cocktail of Ginkgo, Ginseng root, Witch Hazel, Acerola, Grape Vine (and more) extracts), ‘Algae Complex’ (composed of five different skin-beneficial algae), herbal oils (Borage Seed, Flax Seed, Sesame Seed (to name a few)) and Rice Proteins, Vitamin E and Hyaluronic Acid, to rehabilitate stressed skin and quickly restore a more youthful, luminous lustre. 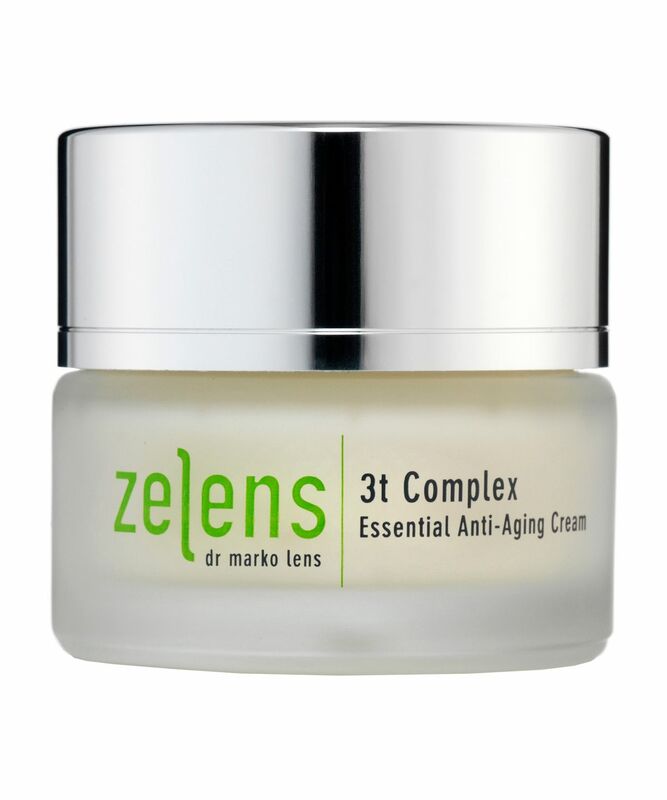 Intensively hydrating, Zelens’ nourishing 3t Complex Essential Anti-Ageing Cream works to dramatically firm and smooth the appearance of skin, reduce the visibility of wrinkles and increase skin’s overall plumpness. Clinical results revealed an astonishing 86.5% improvement in moisturisation, with a 34.4% reduction in wrinkle depth, while 90% of women reported an overall improvement in skin tone and elasticity. At the cutting edge of high-performance, anti-ageing skin care, this is anti-ageing 2.0; combining breakthrough active biotechnology ingredients with a unique blend of plant-derived molecules, to deliver proven, visible results. Hailed as a ‘new dimension in skin perfection’, each jar is brimming with potent botanical extracts… and completely free from false promises. Apply the cream morning and evening after cleansing. Gently massage in until completely absorbed. Perfect for my combination adult skin. I use it after vitamin D Zelens in the morning and after retinol in the evening. I discovered Zelens with a CH beauty box and I love this product, perfect for my dry cheeks especially in winter. Absolutely hated using this but had to use it up. Very creamy but kind of sat on my face. So happy I finished it. Better value creams out there like nuxe. I am not the target market for this moisturiser. I am just hitting 30, with combination/dry skin and hormonal breakouts, but weirdly I love it. I tried this tentatively, thinking it would cause a breakout but so far (fingers crossed) it's been such a dream. It leaves my skin soft, plumps the fine lines on my forehead and doesn't feel oily or sticky like some other heavier moisturisers. Like other reviewers mentioned, it is very soothing. I'm not bothered by the smell either, which to me is quite grassy and clean. I'd like my mum to try it, as I think it would work for her too. I'm going to continue using it over winter and see if it keeps working for me before repurchasing. A good ordinary moisturiser with a luxury price tag. Good enough for me to buy occasionally, I'd like to buy it regularly but the benefits aren't significant enough. I like this moisturizer, it's very hydrating. The only thing I don't like is the fact that it's in a jar. Call me crazy, but I'm a germaphobe so I'd rather have anything that goes on my face be in a pump. I am a huge Tata Harper and Vintner's Daughter fan. They are my products of choice and I use them daily. I received this in my Caroline Hirons box - the first time I've ever bought one of them - which is why I gave this product a try. I'm afraid it's a big "NO" from me. This very expensive moisturiser contains artificial fragrance (parfum) in it - you can see in the ingredients list. When artificial fragrance is added to a cream, it exacerbates the breakdown of collagen in the skin. I don't understand why Marko Lens would put perfume in the cream. If it's to make it smell nice, well it doesn't. The smell is artificial. I guess I'm used to the beautiful natural scent of Tata and Vintner's Daughter - which is like a hug from Mother Nature. My skin has reacted terribly to this cream. I've had a breakout along the jawline and all of my fave feels itchy everytime I go back to it. A very expensive mistake. I will stick to my favourite brands and not try a box again. If your skin is irritated by artificial perfume added to a face cream, this isn't for you. I got a sample of this with my latest purchase. I enjoy how rich and nourishing this feels, but for me the smell is a no; it reminds me of fake tan. I also noticed a little redness on my jawline, possibly from the witch hazel and fragrances? Despite the cons, it did make my skin look lovely, cushiony and dewy. This product is amazing, I got it in a Cult Beauty goodie bag. I will definitely be buying this especially with Winter in mind. My skin is dry and and can get very sensitive and reactive in the Winter around the time central heating has to kick in. This is a brilliant moisturiser and sinks into the skin making it feel nourished and protected. I actually bought this cream by mistake, but now I'm elated I did. After years of using La Prairie creams for day, I switched to this and the difference was unbelievable. This moisturises skin like blend-able velvet: it leaves my skin looking uplifted and firmed, nukes fine lines and large pores, and works hard to eradicate my sun spots and heal scars. When I apply it every morning I am always shocked by the way it seems to sculpt my face! I would recommend this highly to those with maturing skin, like my own (I'm 43), and anyone at any age who suffers with dry skin, or early signs of wrinkles/fine lines. 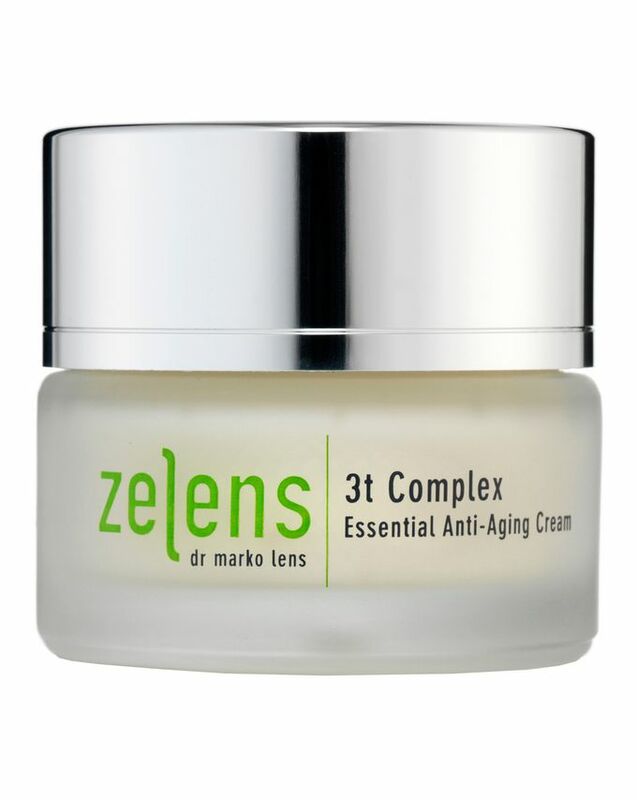 Coming from Zelen's I expected this cream to be good, but not this good! I have tried, for years, to find a moisturiser that didn't break me out or make my skin greasy. Thought that it was an impossible task until I got this as a sample in the Cult Beauty Box. My life was changed. For the first time, I didn't have oily, greasy skin. My skin felt, well, normal. I had tried just about everything but this cream sealed the deal. I saved up to buy it and I'm so glad I did. I have never had a moisturiser that my skin loved so much! HG product for sure, I'm afraid to try anything else now, because of it. I bought this as part of Caroline Hirons, 'Box of Dreams', and for a time I enjoyed the cream and how nourished my skin felt after using it. I also don't think the 'scent' is that overpowering and this cream did not cause me to breakout. I wanted to write this review because my father completed chemotherapy in 2016 and since then his skin has gone from extremely oily to extremely dry, painful, bumpy, flakey, very red and sore, and leaves him in constant agony and very self conscious. I have tried numerous creams on him and nothing has settled it. So I decided to try this. ONE application (I kid you not) and this calmed his skin down and kept it hydrated for a whole day. No more flakes or redness. Yes he still has bumps but that requires something more invasive. This cream truly is a hero for stressed and irritated skin. Amazing! I got this in the Caroline Hirons beauty box, and I have to say I love it. It's a very nourishing cream that is perfect for the winter months and didn't cause me any breakouts (which heavy cream usually does). A little goes a long way. I put this on after using a few drops of face oil, and my skin feels hydrated the whole day. This has absolutely wrecked my skin I'm afraid. I was using Kat Burki but then thought I would give this a go, and really wish I hadn't. I have huge spots down one side of my face. I have dry skin so maybe it was just wrong for me. Never again. Got this in Caroline Hirons box of dreams II. It smells so good and feels incredible. It does give me a bit of a shine which I almost deducted a star for, but I just love the feel so much that I couldn't bring myself to do it. I may have to wait for a raise to buy it again, but luckily I don't need to use much so it will last me a while. I am very sensitive to smells but this has a lovely scent and it has been bf approved as well because it dissipates quickly. I got this in one of The Caroline Hirons for CB boxes. This moisturiser is so good I wish I hadn't tried it. I know that sounds like an odd thing to say but it's because I love it so much yet know it is too far out of my budget. I have very dry skin (psoriasis) which is a nightmare in winter. My skin gets very sore and tight. This moisturiser is like getting into bed with an electric blanket. You know, that 'ooooh yeeeeaah' moment. I can't comment on the anti aging properties of this product because a) I'm too young to have those worries yet (don't hate!) and b) I haven't been using it for long enough. But for dry skin, this is holy grail territory. I have signed up to Zelens' waitlist in the hope they might occasionally do some discounts. I recently got a travel size of this, compliments of the Cult Beauty Spring goody bag. I had wanted to try this product for some time as I had read lots of positive reviews and heard good reports. I will be buying this! It's simply fantastic. I'm in my very early 40's; have extremely sensitive/reactive, dehydrated to dry skin. This works! My skin appears plumper, smoother & softer. This product is very comfortable on my skin and a little hoes a long way I find. I highly recommend. This is one of the most amazing face creams I've ever used. It is so light that you only need a tiny dab on the finger for each area of the face and neck. It is so intense that it keeps my skin feeling just dandy for at least 24 hours. I've got the night cream but haven't needed to use it.